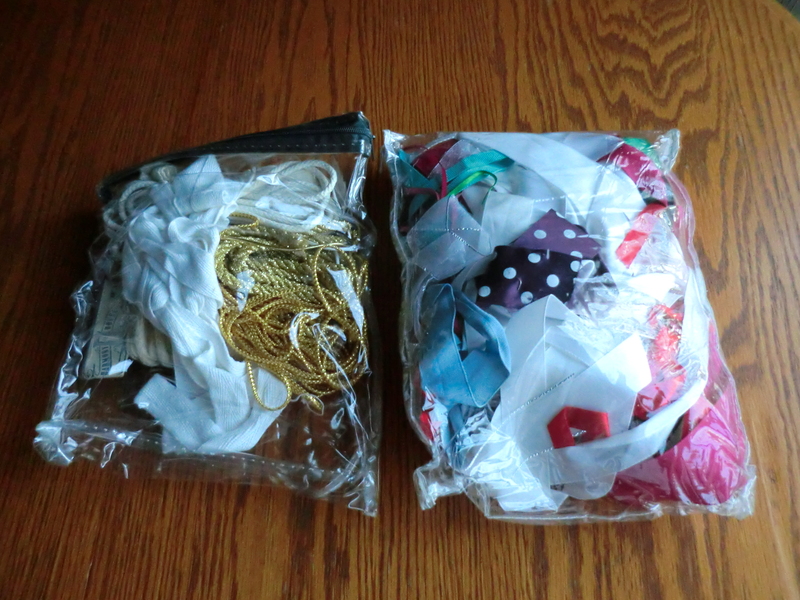 I save all the cloth and satin ribbons used to wrap my Christmas gifts. I never know when they will come in handy. My collection of cloth ribbons, cords and satin ribbons. I showed you how I embellished a pillow with scrap ribbons (“You Don’t Bring Me Flowers” http://wp.me/pKNzn-t6) in October. 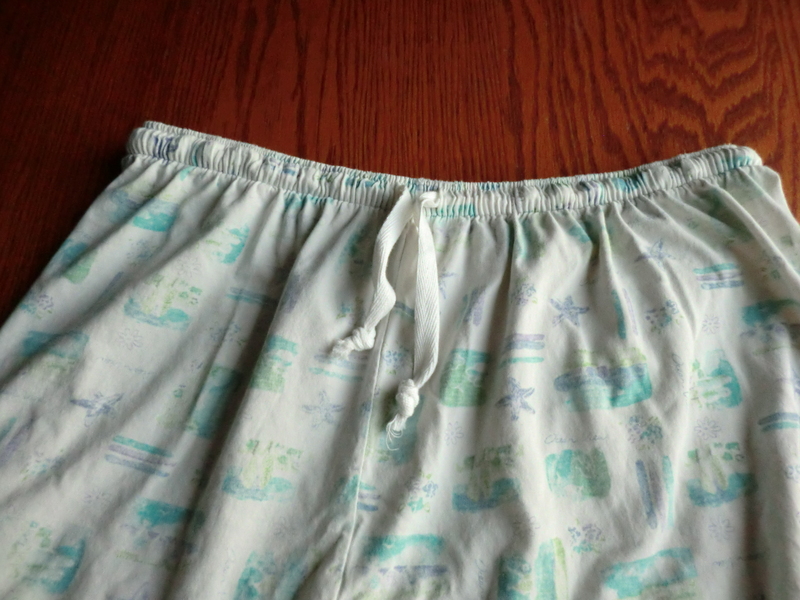 I used a cotton ribbon, formerly wrapped around my pajamas when I received them, to use as a tie on some pajama pants I hope to replace soon. I didn’t want to expend the effort to replace the elastic since I plan on throwing them away as soon as I find a pair of 100% cotton pants in a tall size. Cloth ribbon becomes pajama pants tie. This entry was posted in Be Prepared, Clothes, Decorating, Money Saving Ideas, Use What You Have and tagged Be Prepared, Clothes, Decorating, Money Saving Ideas, satin ribbons, Use What You Have by Frugal Fish. Bookmark the permalink.